Today there are gobs-full more mountain bikers than there were yesteryear. I understand what that might mean for advocacy. Nevertheless, if it means more people on trails pedaling bikes who do NOT understand trail etiquette, then the whole advocacy thing is for naught, in some ways. 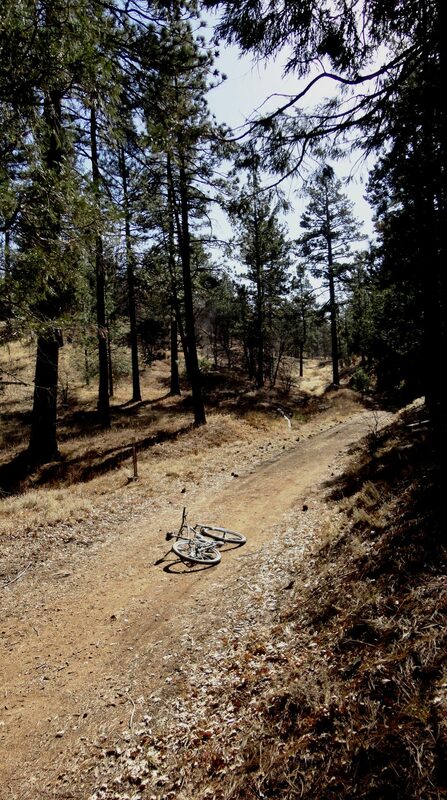 Three different times yesterday morning while riding Laguna Mountain Recreation Area in east county San Diego, mountain bikers stood in the middle of the trail while looking at their bikes or waiting for friends. I politely suggested that they stand by the side of the trail when not riding their bikes. Add to that: 2 times, while I was pedaling uphill, on a singlespeed nonetheless, 2 groups of dudes came barreling down, goggle-faced and, literally, whooping and yee-hawing their exclamation points. Never mind that I was going uphill. As MTB orgs continue to grow, it might behoove them to send every new member a “rules of the trails” memo. The 2 above are a good start. Feel free to post this little reminder as far and wide as you want. Those new to the tribe who do not know need to know. ¿You weren’t riding up Gatos, were you? No. I’ve seen people do that, but not me.